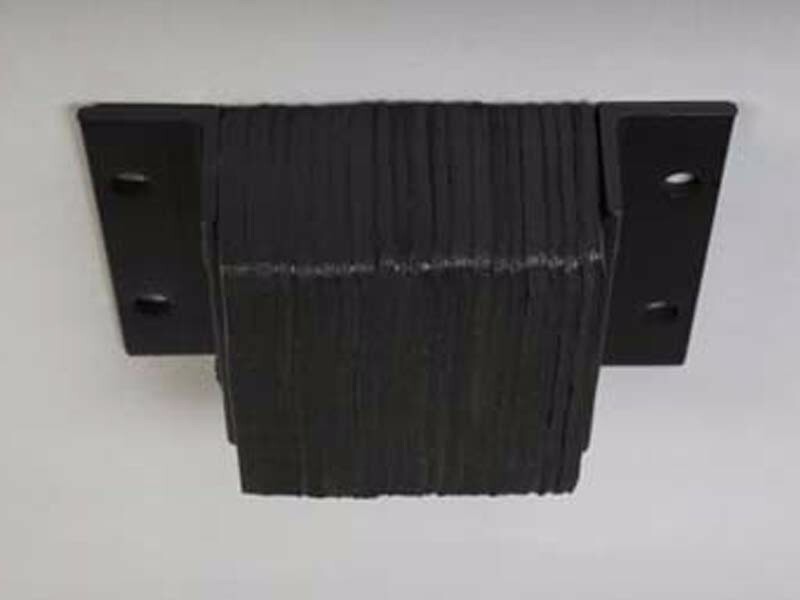 Laminated dock bumpers are constructed out of rubber pads cut from recycled bias ply tires. These pads are laminated together under pressure to form a uniform, flat surface. Heavy-duty structural steel angles sandwich the pads together, and are connected by steel tie rods. These laminated dock bumpers have (4) or (6) mounting holes to secure bumper to dock with 5/8” x 5” anchor bolts. Bumpers are painted black for finished appearance. Laminated dock bumpers are available in either 4” or 6” projection, with lengths up to 36” long. Special bumper configurations are available upon request. 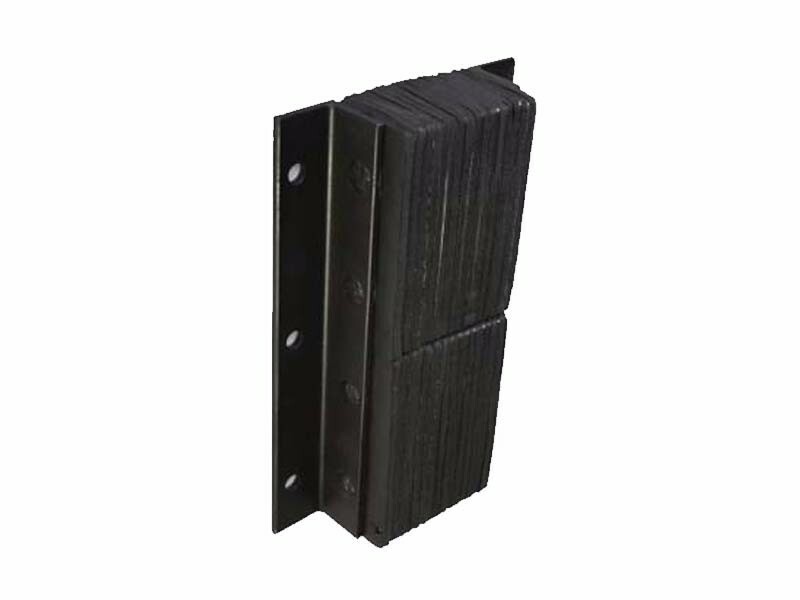 We also offer molded rubber dock bumpers.